The basis of the old law was from 1937 (even though it had suffered multiple reforms) and the world immigration issues have dramatically changed for Mexico since that time. The underlying core of the law no longer applied. Mexico is party to several international treaties regarding human rights. The previous law’s structure did not take these into consideration and therefore a major overhaul was needed to structure a law that reflected the obligations set forth in these treaties. “Due process” and the presumption of innocence are central parts of the law, as well as the fact that you are allowed an interpreter, an attorney and immediate access to your consulate. All authorities must observe these basic rights. Also only the immigration authority (no other authority) can retain your documents only if they feel that they are false. Simplification was needed not only regarding the different types of visas that existed, but also regarding the immigration procedure. As of the date of this document not all of the guidelines have yet been published. We expect that the immigration authority, during the next 2 – 3 years, will be redefining many of the procedures for acquiring visas and it will not be uncommon to get conflicting issues from two different authorities in separate immigration offices. Also, the tax laws and other laws and regulations will need to be modified to take into consideration the changes made to the immigration law. As further information is available, we will be reporting it. This Article is principally directed toward individuals of US and Canadian nationality and how the reforms affect their immigration status in Mexico. It covers the principal topics and most common situations. Non-immigrants (FM3’s)People with the intention of coming to Mexico but expecting to return to their country. This category has now largely disappeared. Immigrants (FM-2’s)People coming to Mexico with the intention of becoming an immigrant. We need to remember that prior to five years ago acquiring Mexican nationality was quite restricted and the “FM-2 to immigrant” procedure was what most people used if they ended up living in Mexico. ImmigratedPeople who had gone through the five years of FM-2’s and got an immigrant card. Under both the FM-3’s and FM-2’s there were many subclasses. In total there were over 30 types of visas and rules for each type, which caused many conflicts as to what certain visas allowed and did not allow foreigners to do. VisitorThere are six types of visitors. Of the six, the tourist visa you get on the plane is a “Visitor” visa. These visas are limited to short terms stays (usually no more than 180 days) and are granted in the understanding that you are coming to “visit”. Temporary ResidentsThis is for foreigners that want to remain in the country for a term of up to four years. Under this permit you can acquire the ability to work for pay (remuneration) and you have the right to “Family Unity”, (which will be explained further on). Under the old FM-2 and FM-3 you had to renew the visa each year and they were good for up to five years. Now if you have any FM-3 or FM-2 they will most likely turn it into a Temporary Resident Visa for the time that is left up to the four years allowed. If you go beyond that, you will be asked if you want a Permanent Resident permit. Note.- There is also a Temporary Resident permit for students that allows the person to remain for the time it takes them to finish their studies. Family members of Mexicans or other Permanent Residents under the “Family Unity” dispositions – see further on. A retired person, with sufficient income to “live in the country”. Right now they want you to show a monthly account balance of 1,619,000 pesos (25,000 times minimum wage). Note.- there is no obligation here for you first to have the Temporary Resident permit for 4 years. Because you have had the Temporary Residence for four years. For having children of Mexican nationality by birth. For being family of Mexican nationals by birth, up to the second grade or tier. This is a new concept that was not in the previous law. It is based on the international treaties that look to preserve the family as a unit. Under this new law the concept of Family Unity is strongly protected and recognizes that Mexican nationals by birth, as well as Temporary and Permanent Residents have the right to preserve the Family Unity and acquire the necessary documents so that their family members can be with them legally in Mexico. Much debate surrounds this issue due to the fact that it makes acquiring a visa to Mexico very easy for large numbers of people that previously would not have qualified for visas, and which is expected to cause some large amounts of people to immigrate to Mexico. Furthermore, the old law required foreigners to acquire permits to marry Mexican nationals. The new law does not and gives grants anyone married to a Mexican national the right to have a visa to stay and work in Mexico. The old law also gave the authority “discretionary” powers to grant or deny visas. The new law obligates authorities to observe the right of Family Unity and grant the corresponding visas. This will dramatically change the dynamics of immigration to Mexico in the coming years. The procedure to acquire a visa has changed. The following is the general rule as well as some of the exceptions to this rule. You first need a VISA to enter Mexico and if you want to stay longer than the time allowed to Visitors, you need to acquire a Residence status. 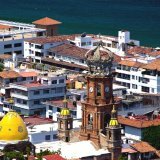 For Visitor Visas (for tourists).- If you are from a country that Mexico has “suppressed” the requirement of a preapproved visa, you do not have to go to the Mexican Consulate to get a Visitor’s Visa. Both Canada and the US are countries that do not required pre-authorized Visitors Visa from the consulate, you simply get them on the plane on the way down or at the border. Article 41 – it is to preserve “Family Unity”, for an offer of work or for humanitarian reasons. Article 53 – “you have a relation with a Mexican or foreigner with residence in Mexico” (Article 53). We are not sure how open the concept of “relation” is. 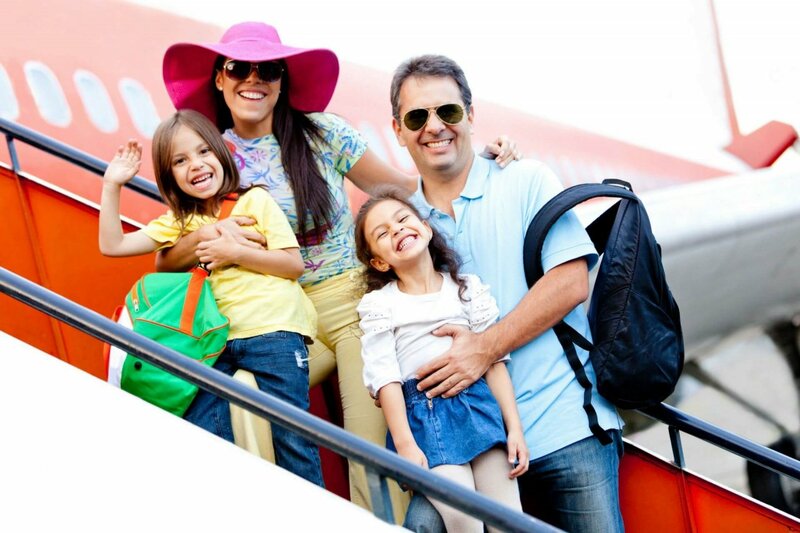 Temporary Residents can change to Permanent Resident while in Mexico. If you presently have an “immigrant” card that was granted under the old law, the local immigration offices in Mexico should change it over to a Permanent Resident card without having to go out of the country. Here are some points of interest regarding the new law. Under the old FM-2 you had to be in the country 182 days a year or it was automatically revoked. This disposition does not exist for either Temporary or Permanent Residents. This was a problem before for people that wanted the tax exemptions on the sale of their Primary Residence because they needed an FM-2 but could not meet the 182 day requirement. Under which visas can I have my car and house hold items in the country? 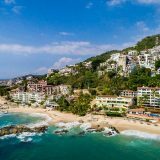 Articles 52 and 54 of the law say that you can bring your property into Mexico “subject to the applicable legislation” – which in this case are the tax laws and customs laws. Right now those laws have not changed to take into consideration the reforms of this law and therefore right now we are uncertain of the implications. If you were an “immigrant” under the old law you were not required to get a further permit to work. The new law is not as clear here. Article 52 fraction IX states that Permanent Residents can work for pay, however Article 54, second to last paragraph says that you require an additional authorization to work for pay. The Rules of the law (Article 164) states the all Permanent Residents can work for pay. We hope this aspect of the law will be clarified in the coming months. 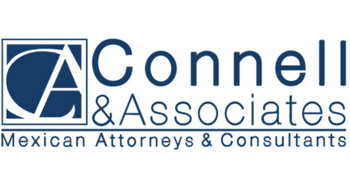 It is still not clear if a person on the board of a Condominium or Non-profit will be required to get a Temporary Resident Permit or Permanent Resident permit, or if the Visitor’s Visa will be enough. If the immigration authority removed you from Mexico (ordered you to leave), you now have to ask permission to come back in. Under the old law if you got thrown out of the country, in most cases you could come back in on the next flight. Article 60 states that a foreigner, regardless of their immigration status, personally or via proxy, can open a bank account. The old law was not clear here and most banks did not allow you to have an account without an FM3 or FM-2. Once you get a Temporary Resident or Permanent Resident visa, you have 30 days counting from entering the country to register with the local immigration office. Furthermore any change in nationality, address, civil status or work must be notified to immigration within 90 days of the change. If you have a company that wants to hire foreign employees, the company needs to register with immigration. If old law states that if you wanted to marry a Mexican national you were required to get a permit from immigration. This is no longer a requirement. As a last note it is important to mention that the immigration authority will look to limit granting Temporary or Permanent Resident Visas. They will ask the question “Do you really need one or can you just use the Visitor Visa?”. Unless there is a reason to go through the process of getting a Temporary or Permanent Visa, we recommend that you just use the Visitor Visa. However there will be several cases in which having either a Temporary Resident or Permanent Resident visa will make sense. We can go over you particular situation. 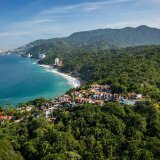 Now That I Have Bought Property in Mexico, What Do I Have to Do to Keep Everything Current? 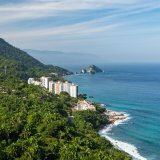 July 5, 2017Now That I Have Bought Property in Mexico, What Do I Have to Do to Keep Everything Current?